We have been thinking about starting this new blog session because we consider it an important part of our job. Here we are with this first post. Over the last months we have worked with many craftsmen and designers who helped us creating a new image of our small company. Reminding ourselves that things are always made by people, through ideas and projects, helped us taking the best choices, sometimes even against the market principles. We are proud to present you our first designer: Martina of Kairoslab. This is a short interview about her beautiful art, with pictures that will make you fall in love. 1.Where does the idea of „cactopus“ come from? The Cactopus idea happened by chance, just observing the nature. Succulents have always been my passion. When I later discovered the Tillandsias, I started imagining original ways to present them. Through the turning technique, I realized the ceramic vase with cactus shape. 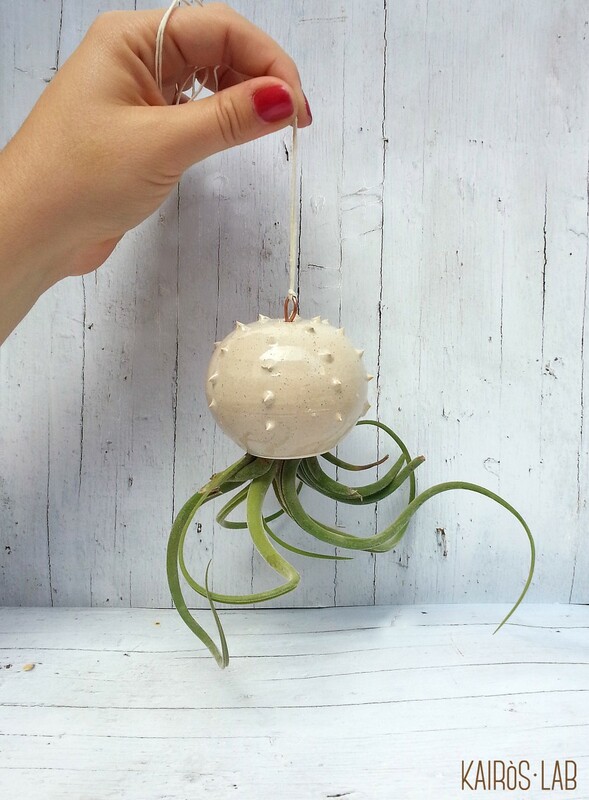 Placed upside down with the Tillandsia Caput Medusae, really reminded me of an octopus. That is where the Cact-opus name came from, the Cactus Octopus. 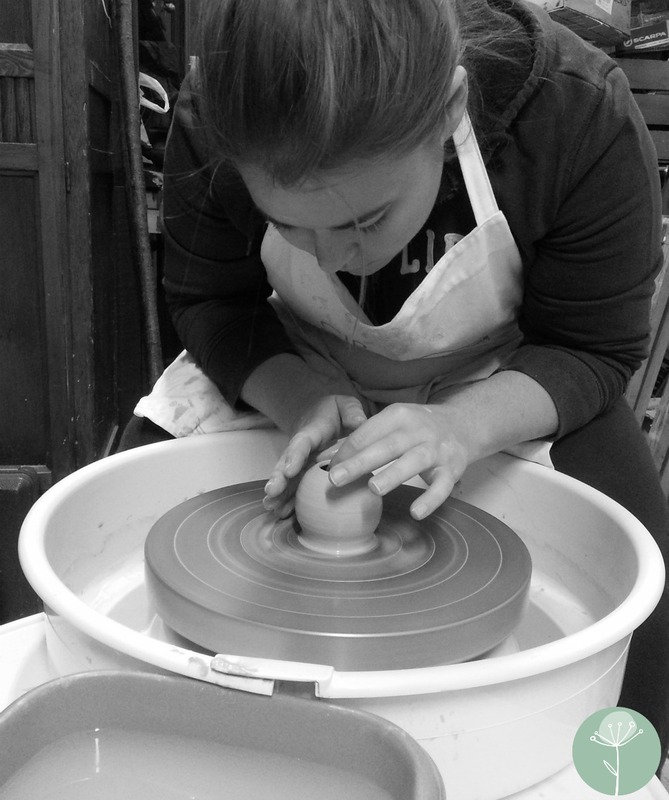 2.What do you like most about working with ceramics? The most beautiful thing is the feeling of the soil in your hands, it is a special and intimate contact. You can model it, following its rules, creating something with complete freedom and imagination. 3.If you could be a plant, what would you be? I would probably be a fern, one of my favorites: it reminds me of the mountains, it is a strong plant and to me its leaves are a symbol of nature. 4.What do you love best of Tillansdias? I find them perfect to decorate houses. They don’t need any soil therefore they can be hung anywhere! Besides they have very harmonic shapes, they are beautiful just like this, without anything else. 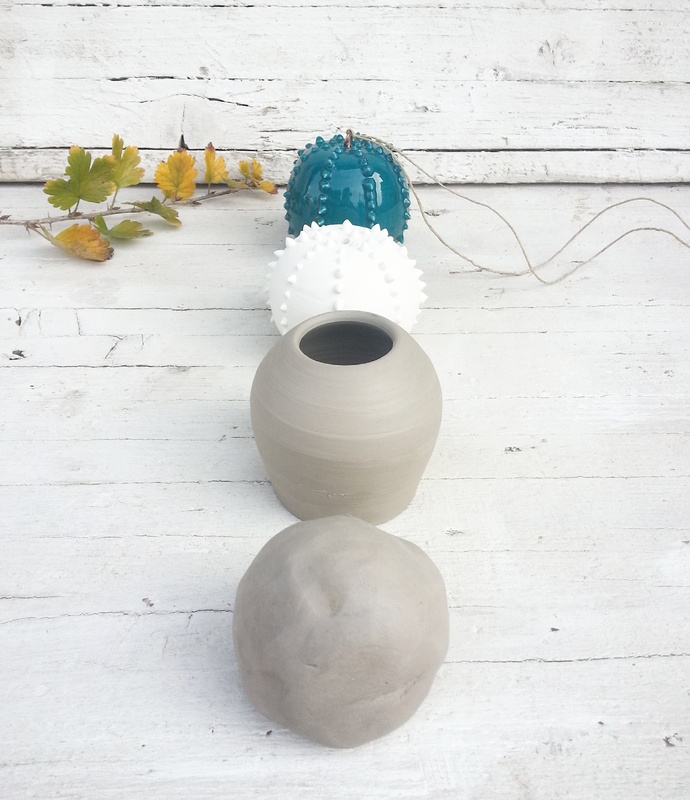 I would like to study and invent some ceramic elements that can exalt their particularities.